Are you hiding your toes, or are you ready for sandal weather? This may sound like a funny question, but for some, this is a realty due to dealing with persistent nail fungus. When we think of being ready for the summer, we think of weight loss and being beach body ready, and for some there is an added worry… they dread having to go to the pool or beach because of toe nail fungus. What can you do? Try Kedem Nail Fungus Topical Solution; it really works and it is a great all natural solution. It is on sale now until Sunday April 21st 2019. This is a 100% natural varnish for treating opaque and thickened nails. It may be the best product around for treating nail fungi. 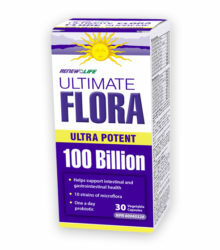 With about a 95% success rate, it’s one of their best selling products. 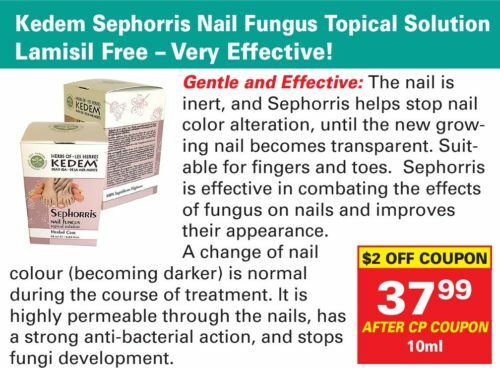 Sephoris is made of a mixture of essential oils which are particularly active against fungi growing inside nails. It’s highly permeable through the nails, has a strong anti-bacterial action, and stops fungi development. 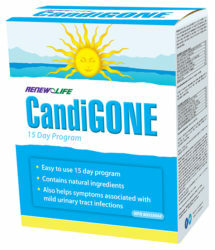 Lastly, if you suspect that you are suffering from an imbalance of Candida than it would be a good idea to heal from within and add the Renew Life Candida cleanse, along with the Renew Life Ultimate Flora Probiotic 100 Billion. We hope that you will come and visit us at either Alive Health Centre, Morning Sunor Supplements Plus near you! Do not sit in silence; there are so many things you can do to better your health! Get excited and take charge of your health. Let’s work together, along with your doctor to ensure you are doing all you can to lead a happy and healthy life. Our team looks forward to helping you with whatever your health concerns are and be sure to check out our extra savings that are on now until April 21th 2019.